To begin, you should connect your iPhone / iPad to your computer using the USB cable and open the iTunes application if it is not automatically started. Wait for your device to be synced and then select it from the left panel. Next, click on the “Apps” tab and scroll down to the “File Sharing” section towards the bottom. 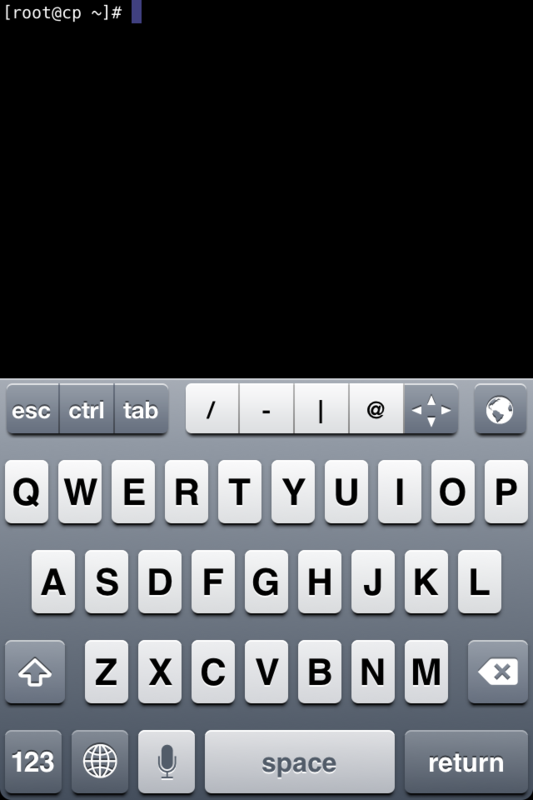 On the left you will see a list of Apps that have file sharing enabled, click on “Prompt“, then “Add…“. Browse to and select your OpenSSH private key (.ppk), then click “Open“. The name of the key file used here will the name used when displaying the key within Prompt, therefore if you have multiple keys you should name them accordingly. 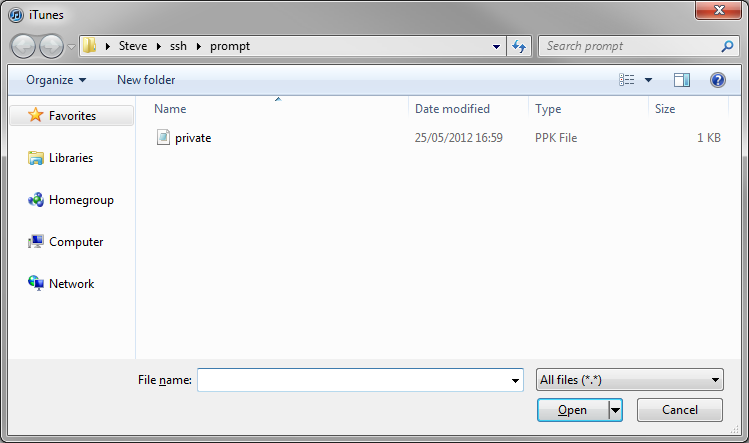 The key will then appear in the Prompt Documents list. If at this stage you have selected the wrong file, just select it from the list and press the delete key. 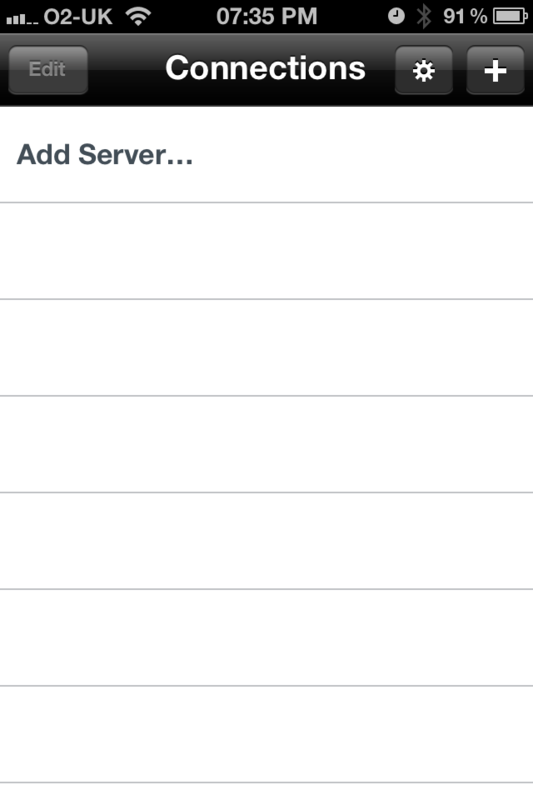 Open the Prompt app on your iPhone or iPad then click “Add Server…” and begin entering the required connection details. Click on the key icon to choose an SSH Key to use. Select the imported SSH Key from the list, it will have the same name as the original file name that was imported via iTunes. If there is a passphrase associated with your SSH Key, you should enter it into the password field. Finally click “Connect” to test the connection details and login to the specified server. If the connection details and SSH Key are valid you will presented with the terminal, otherwise an error will be returned stating what was wrong. You must ensure that the SSH Key is added to the authorised keys file of the server you are connecting to. For further help you should refer to the Prompt website or email Panic. Thank you. I’m not using Prompt but did need to move a private key from my Mac to my iPad for another program. Your explanation and screen shots were a great help.